Dolphins HQ is the home of the Redcliffe Dolphins. 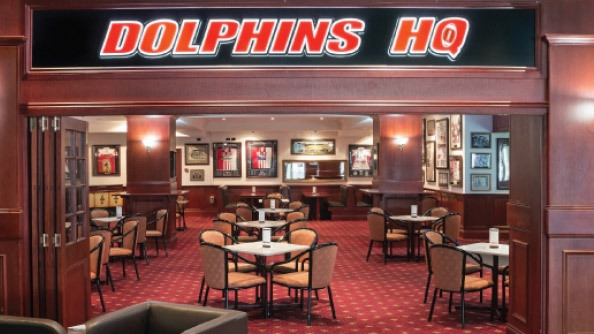 The bar and restaurant is tucked away to the left of the club when you first enter and boasts memorabilia from the great Dolphins teams of the past & present. You can hide away in one of our booths in Dolphins HQ anytime of the day – bring your Koopa meal and a drink from Legends Bar and enjoy the history. But for something special we hold theme nights every Wednesday & Thursday in the room, including a specialist menu and drinks offering.